Kewco was established in 1954 and has proudly served Adelaide as a family owned company ever since. Located at 270 Brighton Road Somerton park, we manufacture a huge range of products for the bathroom, kitchen and laundry, including glass splashbacks, cabinets, shower alcoves and mirrors. Our shower alcoves are made with aluminium frames, brass/stainless steel hinges and toughened glass to maximise durability without compromising on style. Options available include sliding, pivot, frameless and semi-frameless. Our glass splashbacks are low maintenance, heat resistant and come in a variety of colours and metallic styles. Forget about the backbreaking work of grout cleaning and install splashbacks that suit bathrooms all over Adelaide! Kewco’s extensive laundry, kitchen and bathroom showroom in Adelaide puts everything a builder or renovator could need in the one place. Otherwise, shop online for access to our range of great value products from the comfort of your own home. 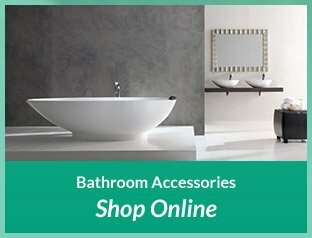 Whether you are looking for taps, shower screens, basins, mirrors, laundry troughs, vanity units, toilets, baths, cabinets, kitchen sinks or any other bathroom accessories, Kewco has you covered. Allow yourself to gain inspiration from our showroom displays and see how we have transformed Adelaide bathrooms into beautiful interior spaces. With the help of our experienced team, planning the perfect bathroom is a hassle-free process and gives you the versatility to meet your needs without spending a fortune. Customer care and attention to detail has been at the core of our service for more than 60 years, and our goal is to help your vision become a reality. After your purchase has been confirmed and your order has been processed, our team will get in touch with you to arrange collection or delivery. 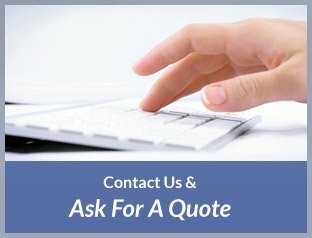 If you have selected a made to measure shower screen and/or mirror or glass splashback, please contact our office on 08 8298 2555 once your tiling is complete and the team will arrange for a site measure and quote. 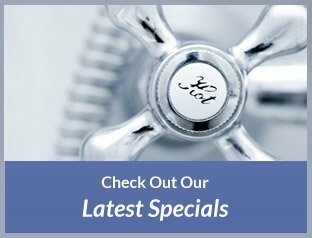 With an extensive bathroom showroom and a commitment to design, manufacture, installation and service, Kewco has earnt an enviable reputation as one of the leading suppliers of bathroom accessories in Adelaide. For 60 years, we have been reflecting your good taste.